Fredrick Njuki is a finance expert with a proven track record. He has over 15 years experience in finance, accounting and audit services having worked in many diverse organisations. Prior to joining Kenya USA Diaspora Sacco, Fred was the Finance Manager at Mhasibu Sacco Society Limited where he served from 2009 to 2015. He has also worked at Royal Nairobi Golf Club as the Club Accountant and Africa Expeditions Limited as the Financial Accountant. Fred has also worked in medium sized audit firms for three years from 2003 to 2005. Fred is a problem solver, highly analytical and excellent in financial reporting. He is commands impeccable experience in ERP systems. He is very honest and has very good management skills, strong negotiation skills and is very innovative. In addition, Fred has proven expertise in personal finance, whereby he has been very effective in training members on personal finance, Sacco products and policy matters. He holds an MBA (Finance) from United States International University (USIU) and a first degree in BSc. Hotel and Institution Management from Maseno University. 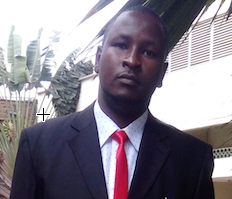 He is also CPA (K) and an active member of Institute of Certified Public Accountant Kenya (ICPAK). During his leisure time, Fred likes keeping fit through exercises, traveling, taking scenic photos and environmental conservation. He also likes watching news and listening to gospel music. Valentine Kayesi is a dedicated, hardworking and self- motivated individual. She possesses strong administration, accounting and finance skills. Valentine is a degree holder in Bachelors in Business Management, majored in Finance and banking from the Maasai Mara University. She is also a CPA student currently taking Part II from Kenya College of Accountancy. She has worked with Alexander Forbes Financial services where she was equipped with strong Finance and administration skills that she is willing to bring to the Sacco so as to help the Sacco achieve its goals. As a member of Rotary Club of Ongata Rongai, she enjoys spending time on charity events with the club and giving back to the society. She also enjoys travelling, reading inspiring books and journals and also spending time with friends and family. Valentine is based at the Kenya USA Diaspora Sacco office in Upper hill, Nairobi, Kenya. Sonia is a passionate focused individual with a desire to influence and impact her society positively by leading by example and setting the pace for other young people who look up to her. 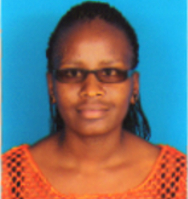 Her interest is in Finance, Statistics and Monitoring and Evaluation field. She has combination of great communication, administrative and analytical skills that have seen her work with different organizations in the past. 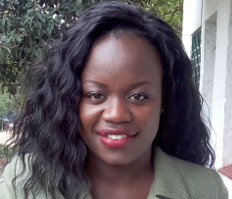 At The Young Women Christian Association of Kenya she joined as a volunteer and graduated to being a Nairobi Branch Youth representative to the National Board and later on become a junior staff member. She has also worked with Kenya Economic Youth Network (KEYNET) as a youth coordinator and at the Nairobi Java House as a waitress. She holds a Bachelor’s Degree in Economic and Statistics from the University of Nairobi. She is also a CPA level 2 student at Strathmore University. During her free time she enjoys writing, singing and giving back to the community through her membership at the YWCA. Robert Muthee is young guy filled with enthusiasm, dedication and self-motivation. He holds strong communication, accounting as well as negotiation and persuasion skills. Robert is a Bachelor's degree holder in Business Information Technology from Meru University of Science and Technology and also a CPA part III student. 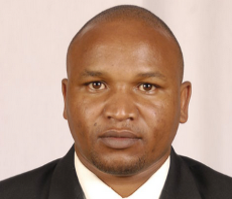 Before joining this esteemed Sacco, Robert worked as a sales person with Kieni Canola Industry. He was tasked with spearheading the introduction of a new product in the market. During his tenure with the firm he was equipped with negotiation and persuasion skills as well as effective communication. During his free time Robert loves watching his best team play football. He is also an active footballer who loves travelling, visiting children’s homes and listening to country music. Robert is based at the Kenya USA Diaspora Sacco office in Upper hill, Nairobi, Kenya.